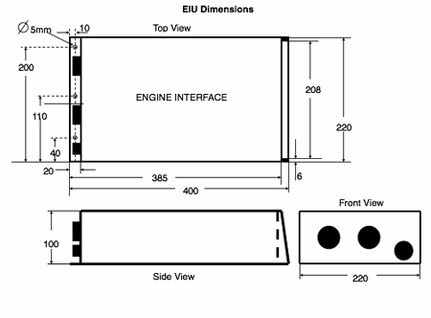 The Engine Interface Units’ (EIU) main functionality is to collect multiple analogue sensor data and convert them into digital signals. The transformed data is sent via RS-422 protocol to the Engine Indicating and Crew Alerting System (EICAS) from Universal Avionics. Via the ARINC 429 output data is sent directly to the Flight Data Recorder (FDR). The Software is certified according to DO-178B DAL B.
for the civil aviation industry, on the base of our certifications. AEE's head office is located 35 km south-west of Munich in Seefeld / Droessling, Germany.